My outfit today is displayed on the floor, because this week I have not been taking photos. I wore this outfit yesterday, but totally did not remember to get a picture (bad blogger!). Preppy, yet casual. 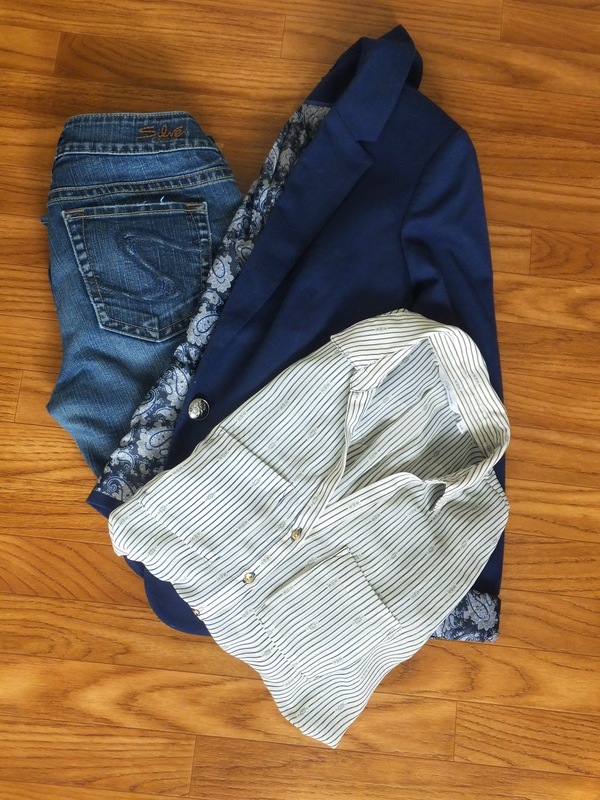 This outfit is comfortable, but looks put together. I love navy. It screams "Spring!" to me.